On February 6-9, PESA hosted its highly-regarded Oil and Gas Industry Training Program for 25 U.S. foreign and civil service officers from the Department of State. The training program was developed 24 years ago to educate global energy influencers on technological innovations and business dynamics of our industry, allowing for stronger relationships between industry/US interests abroad and promoting better-informed decisions at embassy posts around the world. 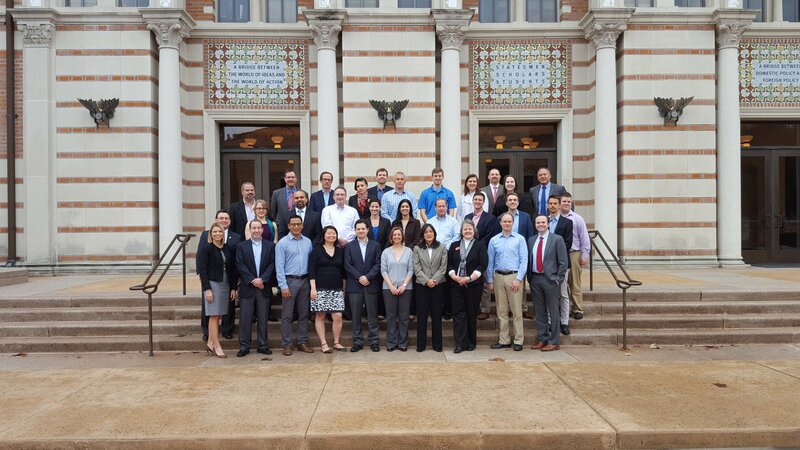 Throughout the week, the group heard from industry and subject matter experts at Baker Hughes, Chevron, Citi, FairfieldNodal, Gaffney, Cline & Associates, Halliburton, National Oilwell Varco, Rice University’s Baker Institute, Schlumberger and TechnipFMC. 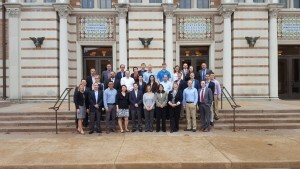 PESA’s International Programs Committee, who directs and develops the FSO Program, includes committee chairman Jock Pool, Oceaneering International, Inc.; Matt Armstrong, Baker Hughes; Irene Flores, Chevron; Clent Rawlinson, DNOW; John Dabbar, ConocoPhillips; Dr. Ken Medlock, Rice University; Jon Landes, TechnipFMC; Mike Bowie, GE Oil & Gas; Bob Moran, Halliburton; Dan Domeracki, Schlumberger and Lindsy Sallee, National Oilwell Varco. This committee of both PESA members and operator partners develops the FSO training course curriculum with a focus on specializing technical content and promoting industry’s achievements in efficiency, sustainability, global poverty reduction and local content development. PESA Board and Advisory Board members met with the FSOs for an industry dinner on the third evening of the course. Ambassador Mary Burce Warlick, Acting Special Envoy and Coordinator for International Affairs, U.S. Department of State addressed the group, thanking PESA for directing the program and emphasizing the importance of collaboration between the industry and State Department. 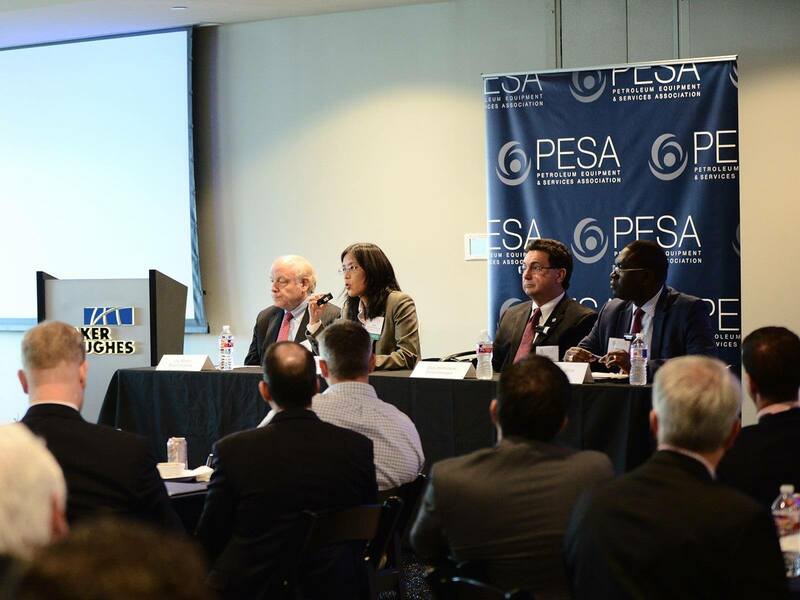 PESA members also attended a luncheon with the FSOs on the last day of the program, February 9, at the Baker Hughes Center for Technology Innovation. During the luncheon, attendees had the opportunity to hear from a panel which included Jay Martin, VP, Chief Compliance Officer, Sr. Deputy General Counsel, Baker Hughes; U.S. Department of State Amb Julie Furuta-Toy, U.S. Ambassador to Equatorial Guinea; Dan Domeracki, Vice President, Government, Industry and Global Stewardship, Schlumberger and Mamadou Beye, General Manager, Policy, Government and Public Affairs, Chevron Africa and Latin America Exploration and Production Company. The panel also spoke to the importance of collaboration between the U.S. Department of State and the oil and gas industry. “Long-lasting, sustainable relationships between U.S. Embassies and oil and gas companies begin with awareness, communication and engagement,” said Jay Martin, Baker Hughes. Amb Julie Furuta-Toy reiterated the need for early, effective communication, pointing out the sooner embassy personnel are made aware of issues, the easier it will be gain resolution. Other topics covered during the panel discussion were the value of understanding culture when doing business around the world as well as taking steps beyond training to understand how companies operate. To meet growing interest from the US State Department and Foreign Service Institute, PESA conducts FSO Trainings twice a year. The next training session is scheduled for August 2017. PESA thanks all of the companies and individuals who provided their time, expertise and leadership to make this critical program a success.